In our post yesterday we mentioned the tradition that the goddess Hera was born or at least brought up in Samos. (Dictionary of Greek and Roman Biography and Mythology, Vol. 3, p. 702). 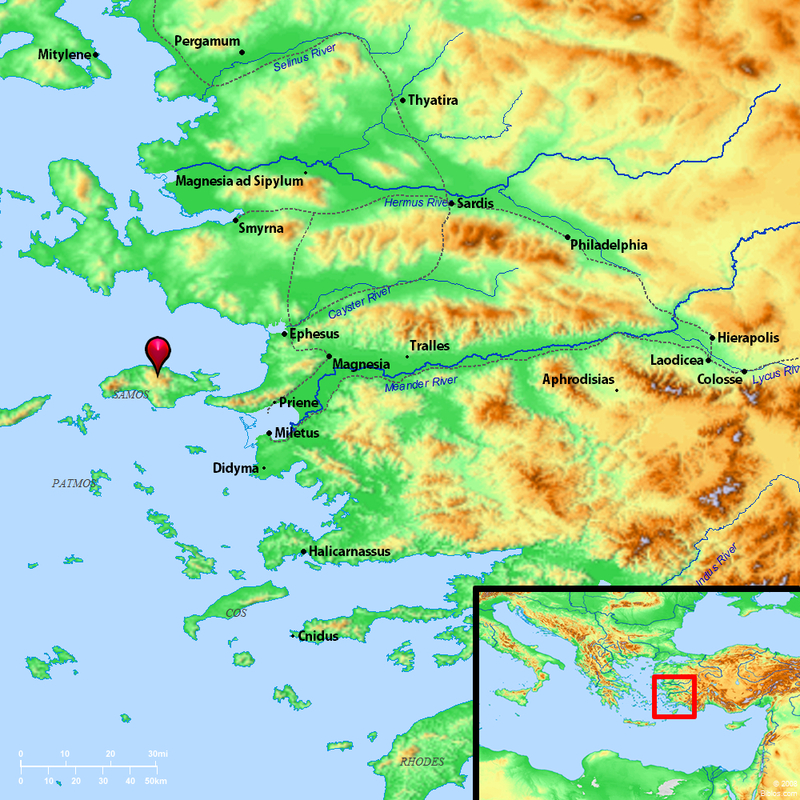 The island of Samos is of interest to Bible students because of its mention in Acts 20:15, in the context of Paul’s return on his 3rd Missionary Journey, making his way back to Jerusalem. Acts 20:14-15. Only biblical mention of Samos. Place-name meaning “height.” Small island (only 27 miles long) located in the Aegean Sea about a mile off the coast of Asia Minor near the peninsula of Trogyllium. In the strait between Samos and the mainland, the Greeks defeated the Persian fleet about 479 B.C. and turned the tide of power in the ancient Near East. 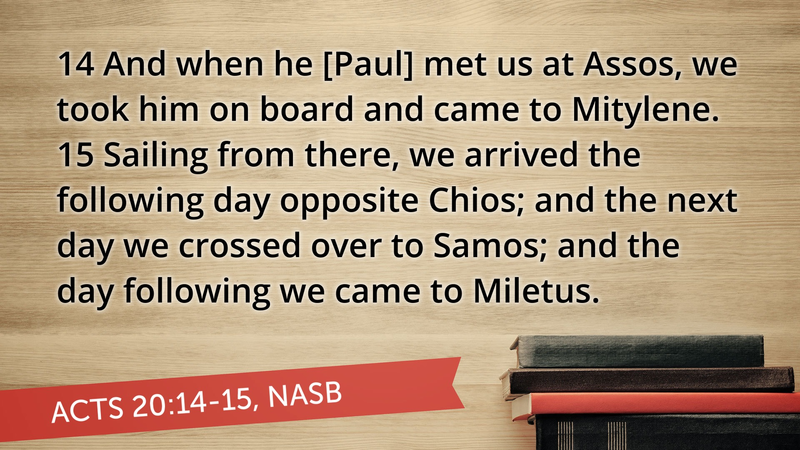 Traveling from Jerusalem to Rome, Paul’s ship either put in at Samos or anchored just offshore (Acts 20:15). (Holman Illustrated Bible Dictionary, p.1438). The rendering of the ESV on Acts 20:15 is: “And sailing from there we came the following day opposite Chios; the next day we touched [emp. mine, L.M.] at Samos; and the day after that we went to Miletus.” They could have just stayed overnight in the ship in the harbor, departing the next morning, or they could have deboarded the ship to actually be on the island itself (briefly of course). The text does not say. 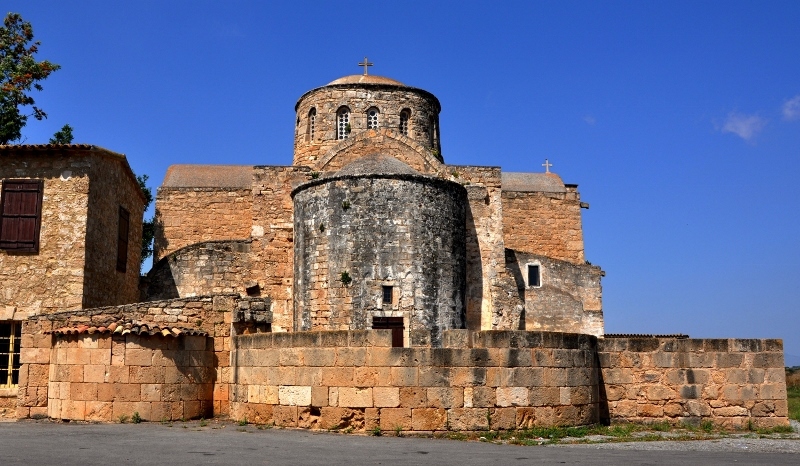 Though the biblical text only mentions Samos this once (Acts 20:15), I welcome the opportunity to visit such sites, and to be able to share photos and use such in teaching. I had occasion to make a brief visit to Samos in 2006, along with friend Ferrell Jenkins, when we were en route to Kuşadasi. See his article here. Samos is just off the western coast of Asia Minor. There are impressive remains of a temple devoted to the goddess Hera at Samos (see Fant & Reddish, pp. 118-125), but our limited time at Samos that day did not permit our seeing this. Location of Samos. Map by BibleAtlas.Org. 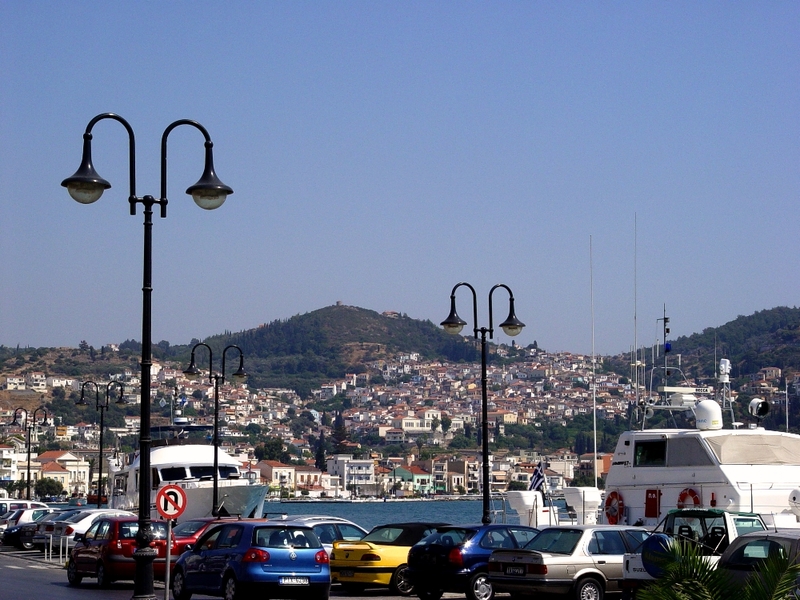 Samos, at modern harbor. Photo by Leon Mauldin. 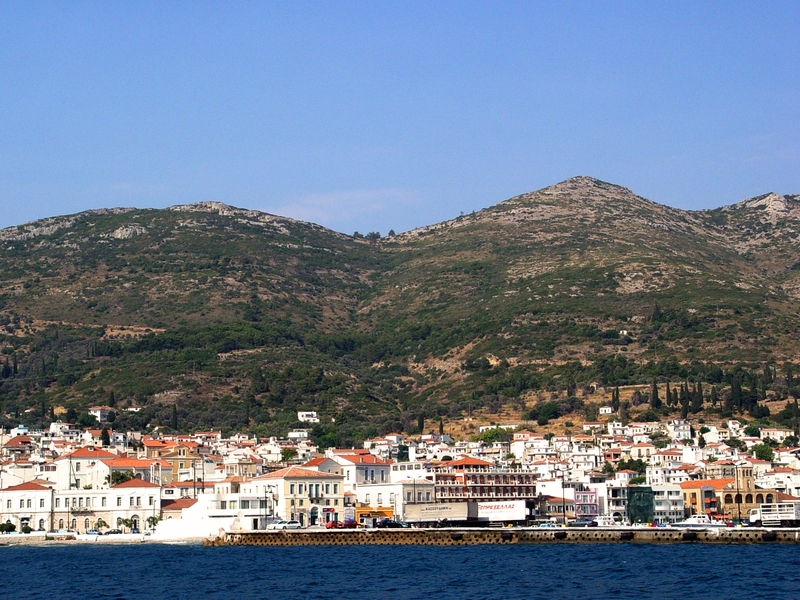 Mountains of Samos as seen from the Aegean Sea. Photo by Leon Mauldin. On that trip we had flown from Athens, Greece to Samos, then we took the ferry from Samos to Kuşadasi, Turkey, which would serve as our “base” while we visited nearby Ephesus and other biblical sites. Sunset at Kuşadasi. Photo by Leon Mauldin. Such figures as the potter and the clay were familiar to those living in the biblical world, much more so that for most of us today. I filmed this potter as he made a vessel of clay. This was in Lindos, on the island of Rhodes (Rhodes is mentioned in Acts 21:1, in the context of Paul’s return trip on his 3rd missionary journey). In Jeremiah 18, the prophet Jeremiah was told to go to the potter’s house, where he was to see an object lesson: “Look, as the clay is in the potter’s hand, so are you in My hand, O house of Israel!” (v.8). I had earlier posts on Rhodes here, here and here. My one desire: to be an obedient vessel molded by ‘El Shaddai, used for His glory. Last March our group tour included the Mediterranean islands of Patmos, Rhodes and Crete, and we have made posts of photos w/info for each of these. 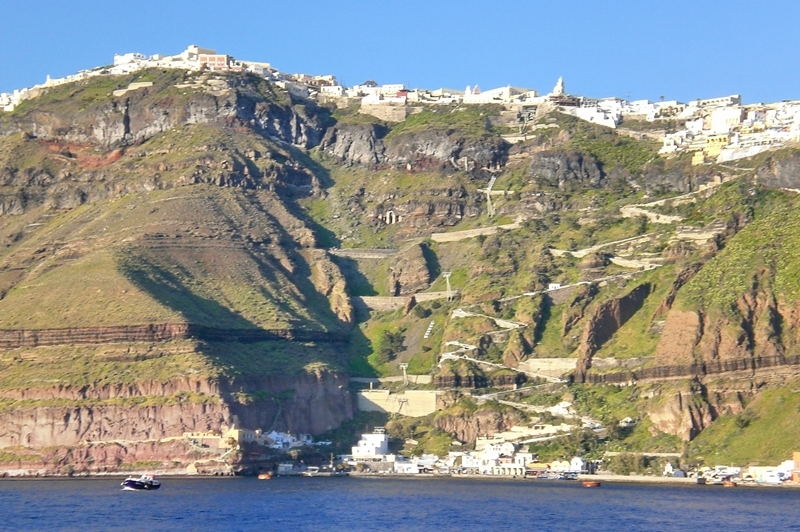 Additionally, the island of Santorini, also know as Thira, was included. Santorini is grouped with the Cyclades islands in the Aegean which are essentially the mountain peaks of the sunken continent of Aegeis. The word “Cyclades” is derived from the word Delos, the sacred island of the ancient Greeks. Approach to Santorini, one of the Greek Islands. Photo ©Leon Mauldin. The Cyclades are geographically positioned as a bridge between East and West, and accordingly played an important role in the history of the Greek World. 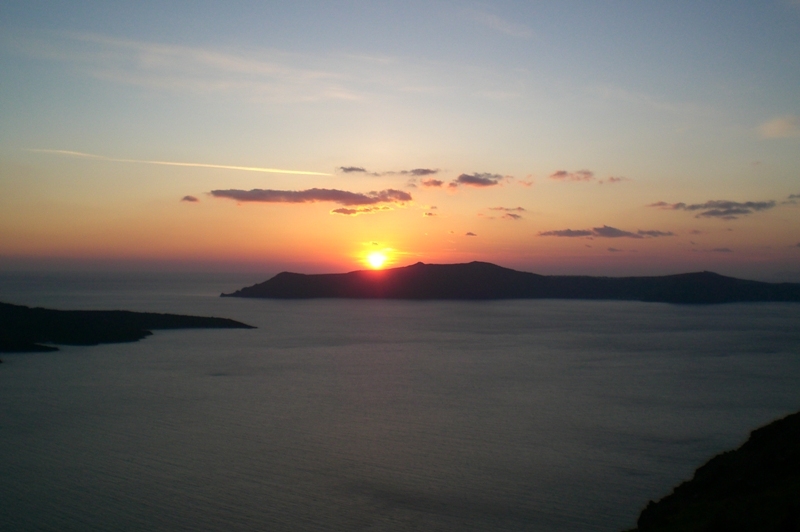 Civilization is traced back to the Bronze Age, the most important of which was located at Akrotiri on Santorini. Ruins in excellent condition have been preserved, due to the eruption of the volcano of Thera (ca. 1500 BC), which covered the site with a thick layer of ash. Evidence abounds of an advanced culture, assimilating that of the Minoans of Crete. Santorini is a unique sight. 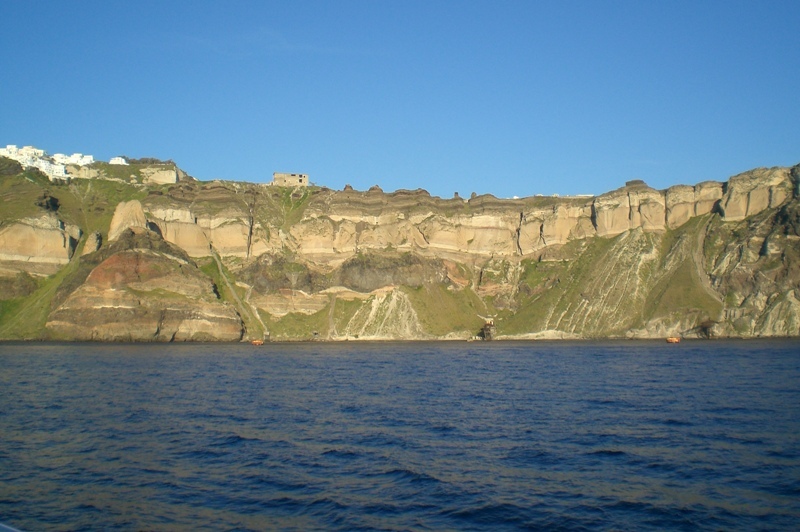 Its cliffs tower out of the sea, capped off by whitewashed buildings. At center of photo you can see towers for the sky-lift; also the zig-zag road for walking, or riding donkeys. Santorini of the Cyclades. Photo ©Leon Mauldin. 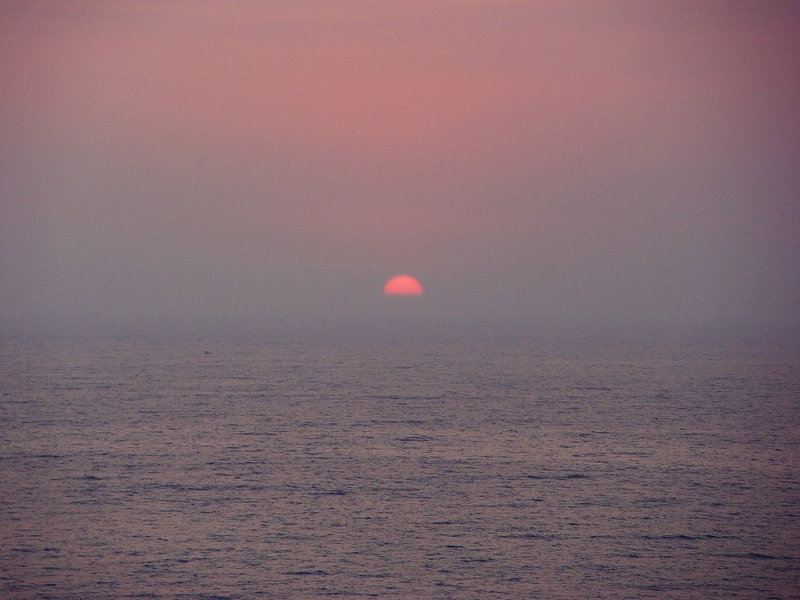 Sunset at Santorini. Photo ©Leon Mauldin. You are currently browsing the archives for the Greek Islands category.